Yep. 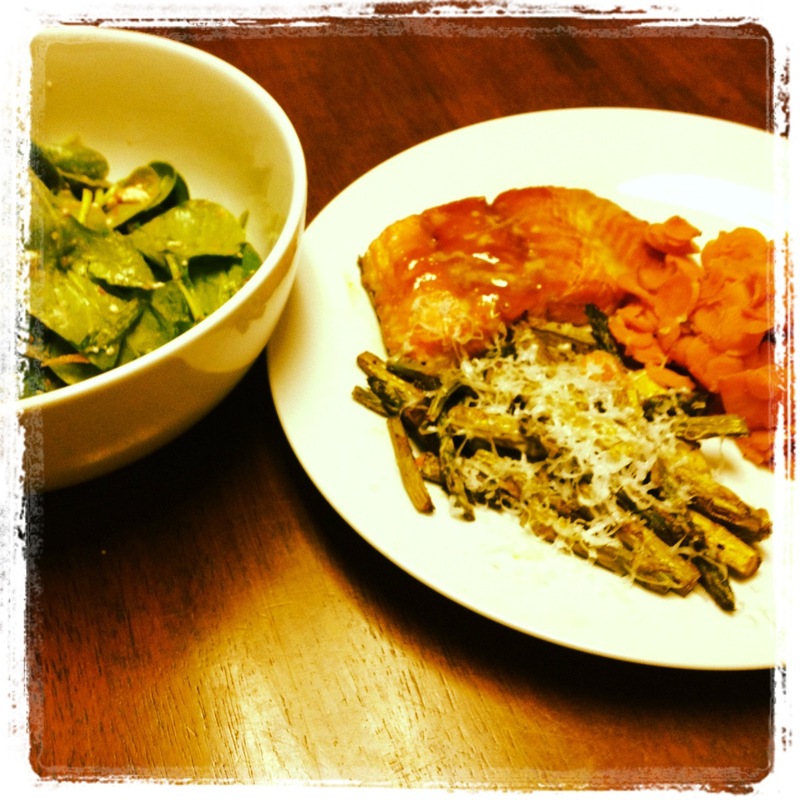 The salmon and the asparagus were both very undercooked. Ick! At least the salad was good!